A nice set of string lights can really brighten up your home, especially if you use them to illuminate a series of photographs. 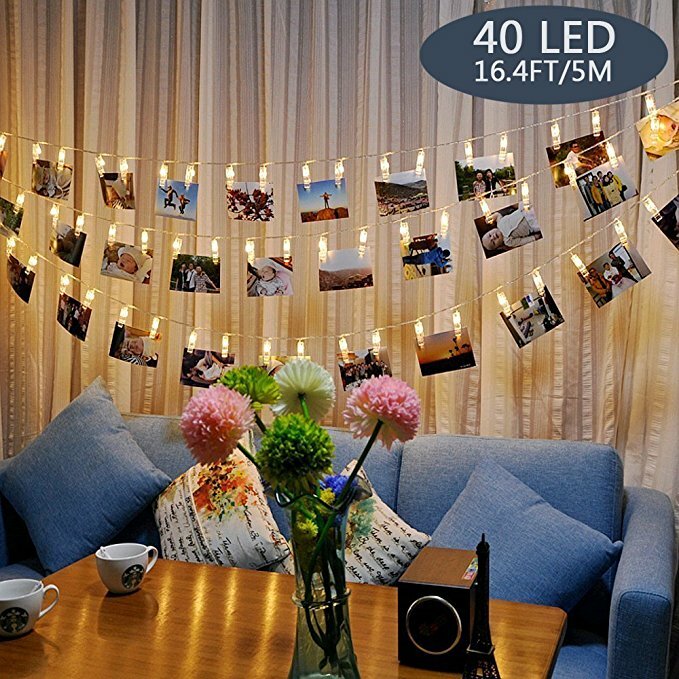 That is exactly what these string lights can do, since they feature photo clips as well as LED lights. Right now, you can get this 16.4-foot string (with 40 battery-powered lights) for just $8 with the code 64G9ZJPL. These lights are the perfect accessory when preparing for a party, and they also work great for just regular décor, especially in a hallway or nursery. Make sure you take advantage of this unbeatable price before the code expires.